It is a great deal easier to motivate employees in a growing organisation than a declining one. When organisations are expanding and adding personnel, promotional opportunities, pay rises, and the excitement of being associated with a dynamic organisation create feelings of optimism. 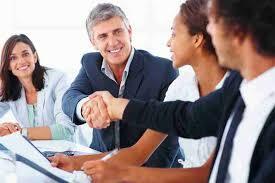 Management is able to use the growth to entice and encourage employees. When an organisation is shrinking, the best and most mobile workers are prone to leave voluntarily. Unfortunately, they are the ones the organisation can least afford to lose - those with the highest skills and experience. The minor employees remain because their job options are limited. Morale also suffers during decline. People fear they may be the next to be made redundant. Productivity often suffers, as employees spend their time sharing rumours and providing one another with moral support rather than focusing on their jobs. For those whose jobs are secure, pay increases are rarely possible. Pay cuts, unheard of during times of growth, may even be imposed. The challenge to management is how to motivate employees under such retrenchment conditions. The ways of meeting this challenge can be broadly divided into six Key Points, which are outlined below. There is an abundance of evidence to support the motivational benefits that result from carefully matching people to jobs. For example, if the job is running a small business or an autonomous unit within a larger business, high achievers should be sought. However, if the ob to be filled is a managerial post in a large bureaucratic organisation, a candidate who has a high need for power and a low need for affiliation should be selected. Accordingly, high achievers should not be put into jobs that are inconsistent with their needs. High achievers will do best when the job provides moderately challenging goals and where there is independence and feedback. However, it should be remembered that not everybody is motivated by jobs that are high in independence, variety and responsibility. The literature on goal-setting theory suggests that managers should ensure that all employees have specific goals and receive comments on how well they are doing in those goals. For those with high achievement needs, typically a minority in any organisation, the existence of external goals is less important because high achievers are already internally motivated. The next factor to be determined is whether the goals should be assigned by a manager or collectively set in conjunction with the employees. The answer to that depends on perceptions of goal acceptance and the organisation's culture. If resistance to goals is expected, the use of participation in goal-setting should increase acceptance. If participation is inconsistent with the culture, however, goals should be assigned. If participation and the culture are incongruous, employees are likely to perceive the participation process as manipulative and be negatively affected by it. Regardless of whether goals are achievable or well within management's perceptions of the employee's ability, if employees see them as unachievable they will reduce their effort. Managers must be sure, therefore, that employees feel confident that their efforts can lead to performance goals. For managers, this means that employees must have the capability of doing the job and must regard the appraisal process as valid. Since employees have different needs, what acts as a reinforcement for one may not for another. Managers could use their knowledge of each employee to personalise the rewards over which they have control. Some of the more obvious rewards that managers allocate include pay, promotions, autonomy, job scope and depth, and the opportunity to participate in goal-setting and decision-making. Managers need to make rewards contingent on performance. To reward factors other than performance will only reinforce those other factors. Key rewards such as pay increases and promotions or advancements should be allocated for the attainment of the employee's specific goals. Consistent with maximising the impact of rewards, managers should look for ways to increase their visibility. Eliminating the secrecy surrounding pay oy openly communicating everyone's remuneration, publicising performance bonuses and allocating annual salary increases in a lump sum rather than spreading them out over an entire year are examples of actions that will make rewards more visible and potentially more motivating. The way rewards are distributed should be transparent so that employees perceive that rewards or outcomes are equitable and equal to the inputs given. On a simplistic level, experience, abilities, effort and other obvious inputs should explain differences in pay, responsibility and other obvious outcomes. The problem, however, is complicated by the existence of dozens of inputs and outcomes and by the fact that employee groups place different degrees of importance on them. For instance, a study comparing clerical and production workers identified nearly twenty inputs and outcomes, the clerical workers considered factors such as quality of work performed and job knowledge near the top of their list, but these were at the bottom of the production workers' list. Similarly, production workers thought that the most important inputs were intelligence and personal involvement with task accomplishment, two factors that were quite low in the importance ratings of the clerks. There were also important, though less dramatic, differences on the outcome side. For example, production workers rated advancement very highly, whereas clerical workers rated advancement in the lower third of their list. Such findings suggest that one person's equity is another's inequity, so an ideal should probably weigh different inputs and outcomes according to employee group. Write the correct number, i-viii, in boxes 1-5 on your answer sheet. 6 YESNONOT GIVEN A shrinking organisation tends to lose its less skilled employees rather than its more skilled employees. 7 YESNONOT GIVEN It is easier to manage a small business than a large business. 8 YESNONOT GIVEN High achievers arc well suited to team work. 9 YESNONOT GIVEN Some employees can feel manipulated when asked to participate in goal-setting. 10 YESNONOT GIVEN The staff appraisal process should be designed by employees. 11 YESNONOT GIVEN Employees’ earnings should be disclosed to everyone within the organisation. Look at the following groups of workers ( Questions 12-14) and the list of descriptions below. Write the correct letter, A-E, in boxes 12-14 on your answer sheet. A They judge promotion to be important. B They have less need of external goals. C They think that the quality of their work is important. D They resist goals which arc imposed. E They have limited job options.